Move over, Iceland! Greenland is emerging as a travel destination for hikers and adventurers in search of glaciers, mountains, winter sports, and backcountry solitude. While Iceland has seen an explosion of tourists eager to visit its many natural wonders, the neighboring island of Greenland is just starting to become a popular destination for adventurous travelers. In 2016, Greenland welcomed more than 80,000 international tourists, not including cruise passengers. That may be a small number compared to other countries, but it's still a lot of people arriving to get a glimpse of the 15 percent of Greenland not covered by an ice cap. Visitors come for the hiking, skiing, glaciers, mountains, wildlife, and the coastal villages that have been able to maintain some of their Inuit traditions despite the arrival of the Internet and other features of modern life. Though getting to Greenland can be tricky because international flights are limited and expensive, those who truly want to see the island find the journey well worth it. 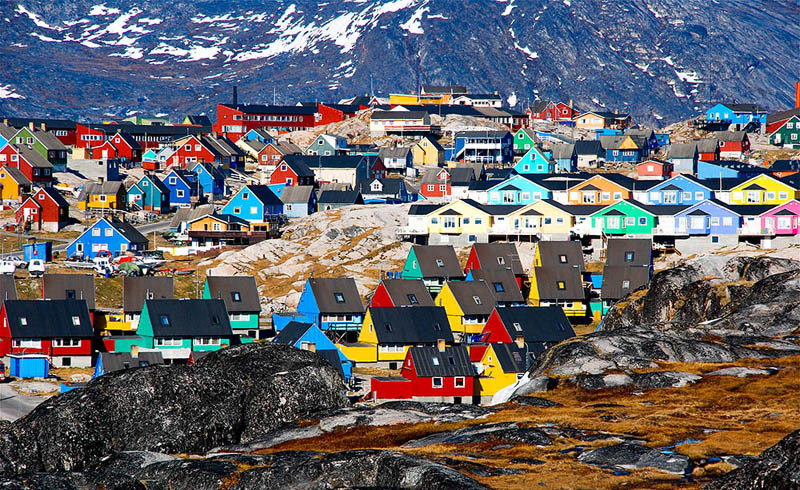 Because Greenland has no roads or trains between towns, you'll want to fly directly to the city you wish to visit. No flights go directly to Greenland from North America, so the simplest option for tourists from this side of the globe involves going through Reykjavik, Iceland. From there, you can fly to several cities on the island, including Nuuk—Greenland's capital and largest city with around 15,000 residents. Those interested in hiking the Arctic Circle Trail should fly into Kangerlussuaq, which can be reached by plane from Copenhagen, Denmark. Visitors who want to see several different places within Greenland can fly between cities via Air Greenland, or book a trip on one of the inter-city passenger ships that operate on the western side of the island during the warmer months. Finally, you may consider securing a spot on one of the handful of international cruise ships that stops in Greenland, though this option will only give you a short time on the island. One of the best Greenland activities for the truly adventurous is hiking the Arctic Circle Trail, a 100-mile (160 km) path on the western side of the island connecting Kangerlussuaq Airport and the coastal town of Sisimiut. The trek typically takes 9-11 days. Since no towns exist along the trail, hikers should have backcountry expertise, plan ahead, and bring everything they need in a large pack. The entire trail lies just north of the Arctic Circle, crossing mountainous terrain and drinkable water sources. The trail may provide opportunities to see musk oxen, caribou, and foxes (but no polar bears—they do not inhabit this part of the island). 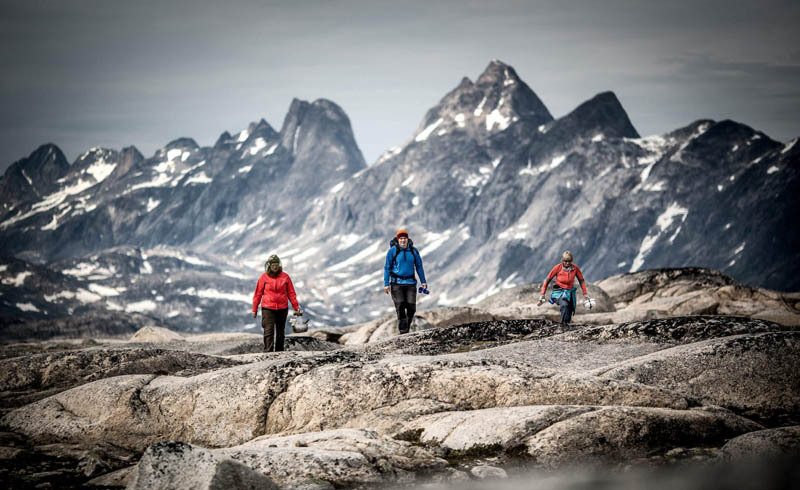 If a week-plus hike doesn’t fit into your travel plans, some of the most popular outdoor activities for Greenland visitors include hiking, kayaking, diving, fishing, snowmobiling, and skiing. Greenland also has several whale-watching tours along its coastline. Others guided activities include helicopter trips to the icecap, dog sledding tours, and Northern Lights viewing excursions. Some visitors prefer to soak in the island's natural hot springs, explore the glaciers, or check out the many small museums and local establishments in villages to get to know the people and their history. For outdoor activities, visit during the milder months of July and August. Average summer temperatures in Greenland hover around 50° F (10° C), though in some places temps may reach the upper 60s° F (20° C). Visiting Greenland can be a rare thrill, but an expensive one, so do your homework and budget appropriately to get the most out of your visit. While Eagle Creek is here to provide tips and insights on travel, we cannot accept any responsibility for any potential consequences arising from the use of this information. Always conduct your own research and use your best judgment.